It's never too early to introduce your child to the people you admire. 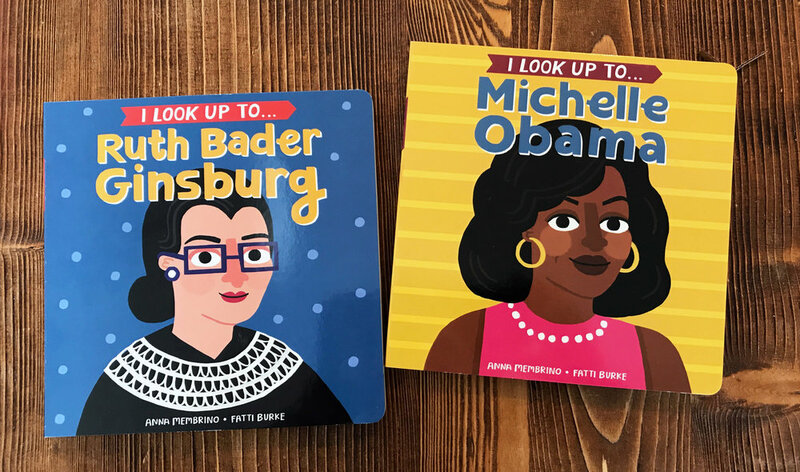 The first board books of the ‘I Look Up To’ series distill Michelle Obama and Ruth Bader Ginsburg’s excellent qualities into deliciously illustrated little baby-sized bites, with text designed to share and read aloud. 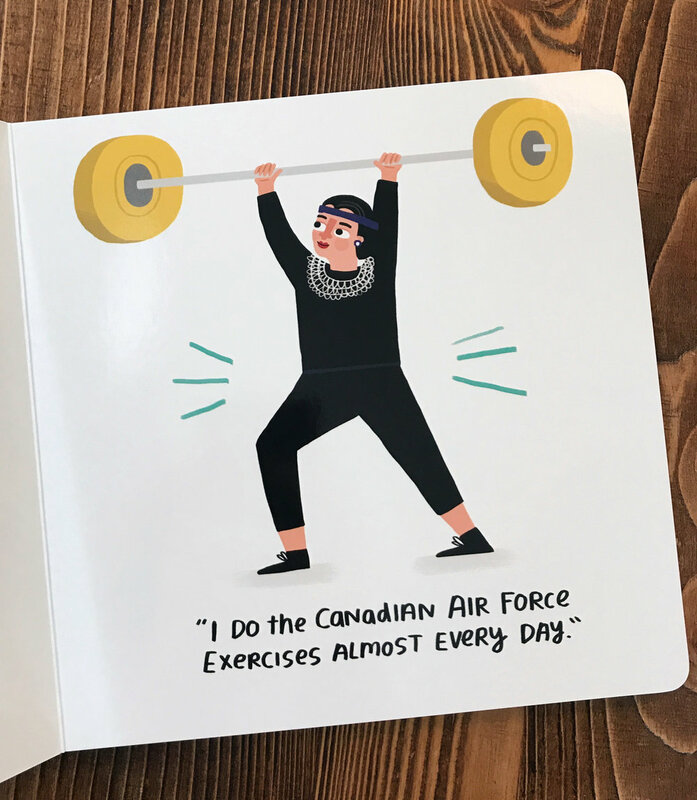 Each spread highlights an important trait, and is enhanced by a quote from the subjects themselves. Kids will grow up hearing the words of these influential women and will learn what YOU value in a person! Written by Ana Membrino, Published by Penguin Random House.